Usibelli Coal Mine (UCM) is the only operational coal mine in Alaska located 115 miles south of Fairbanks. Founded in 1943 by Emil Usibelli, the mine continues to be a fourth generation, family owned business 75 years later. 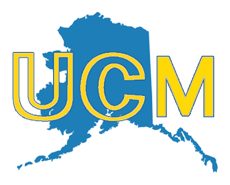 UCM produces approximately 1-million tons of ultra-low sulfur coal that is supplied to the power plants located in Interior Alaska for heat and power. UCM operates year-round and is supported by the most modern mining equipment and state-of-the-art engineering with a workforce of approximately 100 people. UCM currently has a work force of approximately 115 employees, and operates year-round. UCM sponsors many community events and activities, and through The Usibelli Foundation, funds numerous scholarships, and provides grants to more than 80 organizations annually.